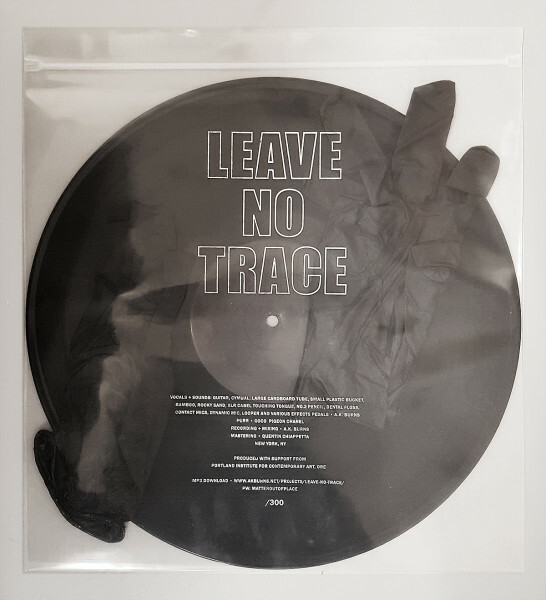 Leave No Trace is a poem and an experimental audio project. 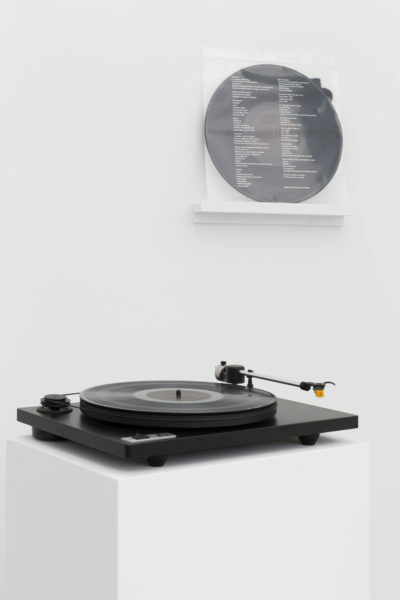 The record has two unlabeled tracks, one per side, that combine ambient environmental recordings, vocalizations, an old electric guitar and sounds generated from found materials. Leave No Trace is the soundtrack to a forthcoming episode of Negative Space. 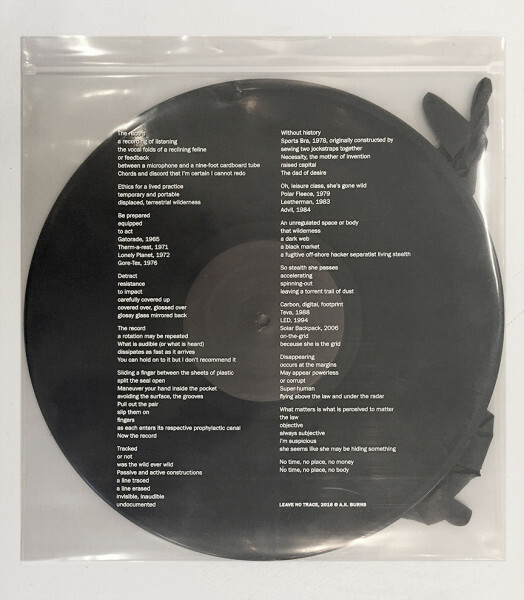 The poem printed on the album cover speaks to the common code of wilderness ethics known as “Leave No Trace.” It further unpacks this term, questioning what is natural or naturalized. The project considers the desire to disappear and the subjugation of those who go undocumented.